We post a lot about the sheer awesomeness of being a part of Pilates Sports Center, because it’s not just a Pilates studio with an owner, or two owners. It’s a place where people who care deeply about one another and their clientele get to spend quality time together working, healing, laughing and sometimes crying together. It’s a family in the truest sense of the word, (without some of the baggage that actual families sometimes bring). We come together in one beautiful effort to bring health, wellness and yes, love to one another. No matter what may be going on in life this is a place to come into, smile, exhale deeply and then get into the work. PSC is a special place, filled with teachers, clients, students and ultimately graduates. 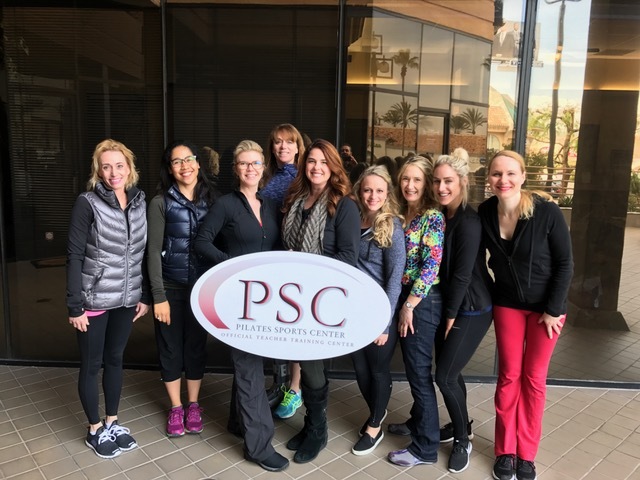 These amazing students of the Pilates Sports Center method of Teacher Training then go out into the world and bring that expertise to clients in other studios around the country, and so it goes, and the PSC good name grows. We now have 50 Master Teacher Trainer sites across the US, and outside the US. The 2018 Master Training program will train between 5 and 8 new MT’s who will learn to teach the PSC methodology of Teacher Training to their respective cities through their own studios. It’s a really cool thing to watch the growth, and be a part of it. The next Pilates Sports Center Teacher Training program will be taught in Encino September 11th and 13th, 2017. Here’s a quick video. If you’re industry, or career path has failed to bring a smile to your face, there is something you can do about it. Visit us at: www.PilatesSportsCenter.com and learn more! Becoming a Pilates teacher is more than just a way to make a living. When you teach Pilates, you help your students improve their lives. By strengthening their bodies with the forms and exercises created by founder Joseph Pilates, students can become healthier and better able to live a full life. Training to be a certified Pilates teacher prepares your body and mind for a new career – helping people become more physically fit, toned and balanced. While working to help other people master Pilates, preparing to be a Pilates teacher can benefit your own body as well. Becoming a Pilates instructor is not for the faint of heart. A top-notch Pilates instructor will be creative enough to keep classes fun and interesting, demanding enough to get the best from students, and experienced enough to give students the guidance and encouragement they need to succeed. 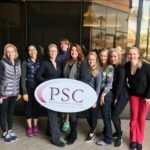 The PSC Pilates Teacher Training Program is a comprehensive program dedicated to preparing students to become certified Pilates Method AllianceTM teachers. The program includes 120 hours of classroom teaching and a total of 450 hours of preparation. Here is a sampling of the many skills students will learn in this program. Registration is now open for Pilates Sports Center’s innovative teacher training programs in the Los Angeles area. If teaching Pilates is something you’ve always wanted to do, don’t wait any longer. Sign up today for a teacher training like no other. What makes a great Pilates teacher? Knowledge? Experience? Desire to help others achieve their fitness goals? Is teaching others the techniques of Pilates something you see yourself doing in the future? Even the beach knows it’s a new year. Losing weight and getting fit are always two of the top ten New Year’s Resolutions people make each year. If exercise is part of your plan to be healthier in 2015, it’s time to learn about Pilates. Pilates works your body from your toes to your neck. There are many good reasons for the enduring popularity of Pilates. If we wanted to count them, we could start with a long list of body parts that benefit from this wonderful exercise.